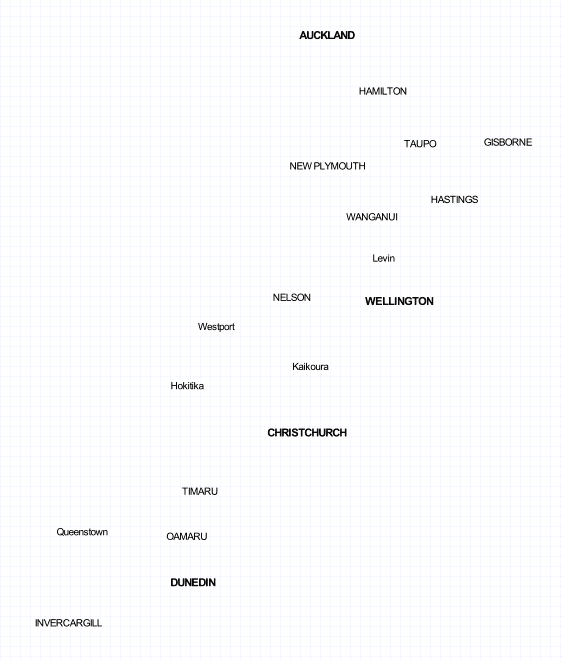 It's one obvious thing missing from my maps of New Zealand: map labels. This blog post will show you how to create a transparant layer with map labels with TileMill, which can be added as an map overlay in Leaflet or other mapping libraries. I start by defining the fonts I'm going to use. It's a convention in cartography to label water features (lakes, sea, rivers) in serif italic faces, but small serif fonts on screen can be hard to read.. New high resolution screens, like Apple's Retina display, will probably make serif fonts more popular for web maps. You can use TypeBrewer to test various font combinations. 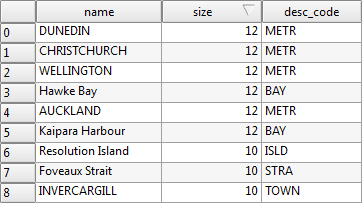 I'm starting with the places marked as "METR" (probably metropolitan areas, although using this term in New Zealand sounds a bit strange...). I'm aligning the labels (text-horizontal-alignment) to place them over the ocean, so they're not obscuring the map. A halo is added around the labels (text-halo-fill / text-halo-radius) to make the text visible on top of various basemaps. Auckland, Wellington, Christchurch and Dunedin are the only labels shown on zoom level 5 (in the Web Mercator projection). I'm then adding towns on zoom level 6, and populated places on zoom level 7. Labels shown on zoom level 6. I'm continuing like this until zoom level 12, gradually adding more labels for features like suburbs, lakes, mountains etc. 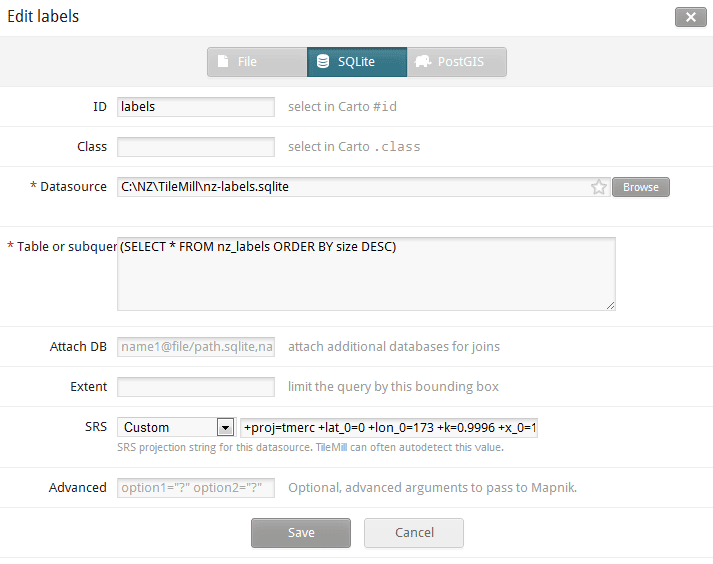 How to minify GeoJSON files?